Indoor plants have been making a comeback in the interior design world over the last few years. And for good reason, as plants have been said to encourage better wellness habits, boost creativity and counteract the negative aspects of city living. This month, consider filling your apartment home at Insignia on M with a little extra greenery. Here are four plants you should buy for your DC Navy Yard home. The Fiddle Leaf Fig has been praised by many interior design gurus. It’s easy to see why as its unmistakably large leaves will make a bold yet classy statement in your living room at Insignia on M. This plant can grow up to eight feet tall and thus is a great option for those with a little green thumb. 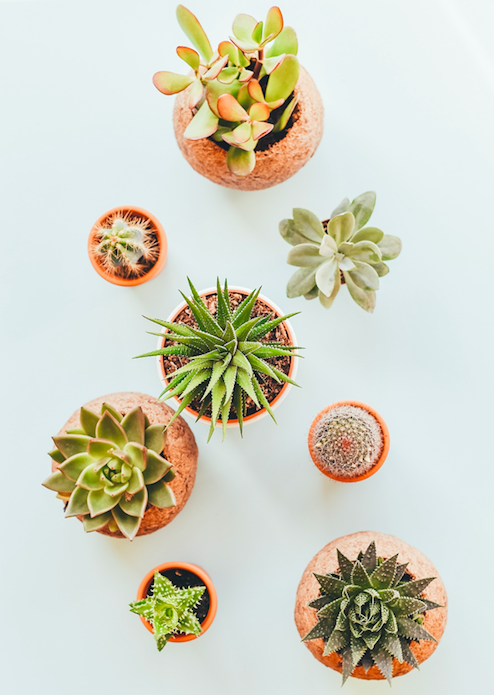 Succulents are favored for being low maintenance and low cost. Use succulents to decorate tables and counter spaces throughout your Insignia on M home. They’ll need to be watered often during the summer months but can go with one watering per month during the winter. Peace Lilies are flowering plants with vibrant and large leaves contrasting against white flowers. This plant will look great decorating a nook or cranny in your living space. Ivy plants are great for those who are too busy to constantly be watering and taking care of a plant but would still like some greenery in their homes, as it can survive in almost any environment. You’ll know when it needs a little love if the leaves start to look limp. Ivy looks especially beautiful in a hanging pot. Ready to start your life at Insignia on M? Contact us today for more information on life at Insignia on M or to schedule a tour.